We drive a priceless, one-of-one concept pickup. Don't call it a crossover. Germany's original hot hatch gets a mid-cycle update. This is the cornering on the door handles approach fans of the Rabbit GTI loved, remixed for a new age. With no driver modes, a wheelbase nearly identical to that of the Mk1 and skinny 195-section tires, this is as close as you'll get to driving an original GTI. The 2019 Jetta is a car Volkswagen really needs to get right. Last year, it was VW's best-selling model in America by a wide margin. 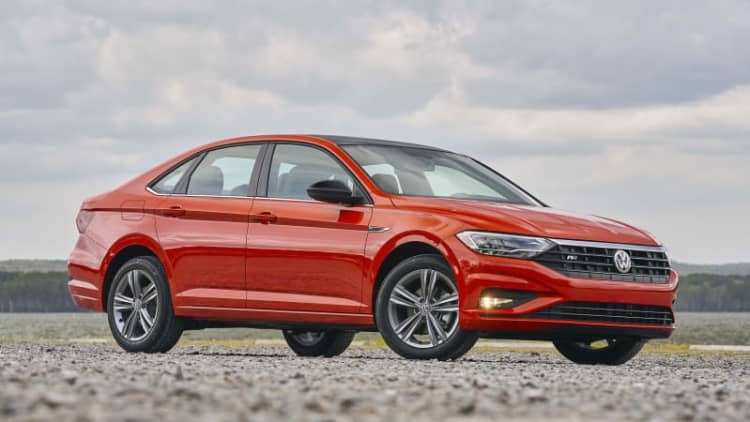 And although the new Tiguan and Atlas have been propelled ahead so far this year by America's crossover obsession, the Jetta is still VW's best-selling car, beating the Passat and the Golf. Put simply, the new Jetta has got to be good. Just a smoother, quieter Golf. There are very few things in this word that I enjoy more than a road trip through the mountains, so I didn't hesitate when Volkswagen invited us to take their newest SUVs, the Tiguan and Atlas, on a road trip through Yellowstone and Grand Teton National Park. Will the Jetta return to its roots as a Golf with a trunk? We head to Arizona to find out. Even the base VW Golf is quite engaging. After four laps and forty miles I'm done. Toast. Exhausted. But smiling. Fifty years after winning in Baja, these Bugs remain at the core of grassroots offroad competition. The competition might still have the edge on VW. As with the Atlas, the new Tiguan leaves us with mixed feelings. This is the right model for Volkswagen at just the right time. More than just a CC-successor. Truly, a work of fashion. An electric car that puts the car first. Electricity, delivered in a familiar package.